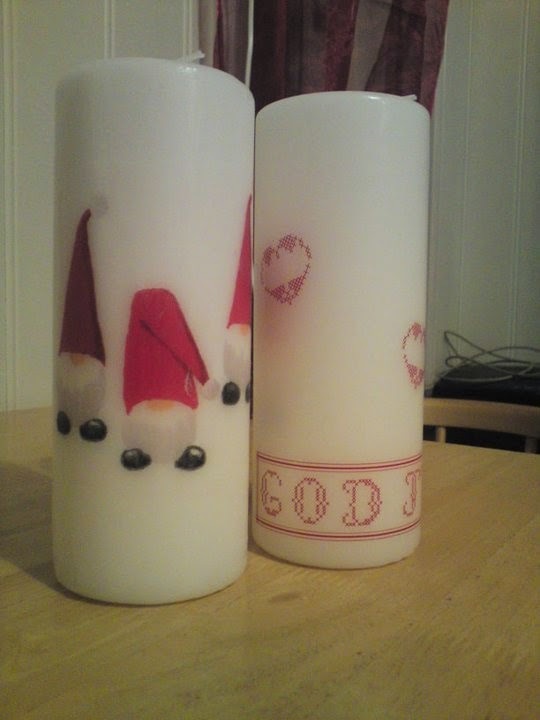 Hobbies of Norway: Decorating candles! Sometimes it's good for a change in things to make. 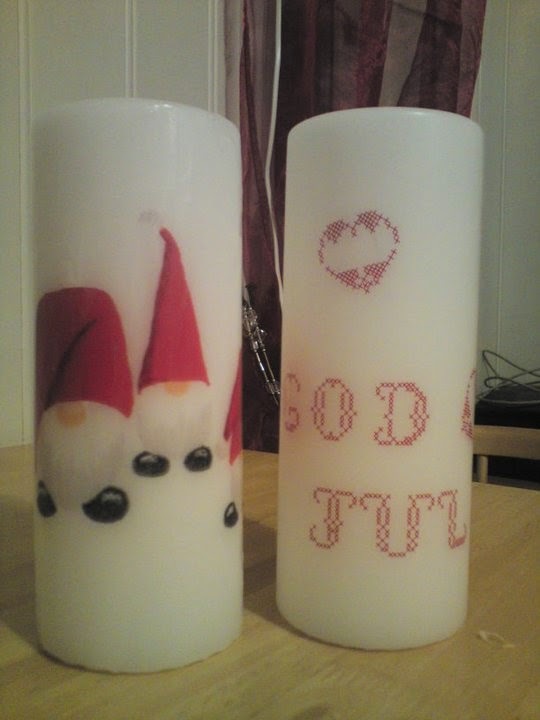 For Christmas a few years back I decided, therefore, to decorate some pillar candles. The lights are inexpensive to buy, and so are the decorations if you are good to think economically. 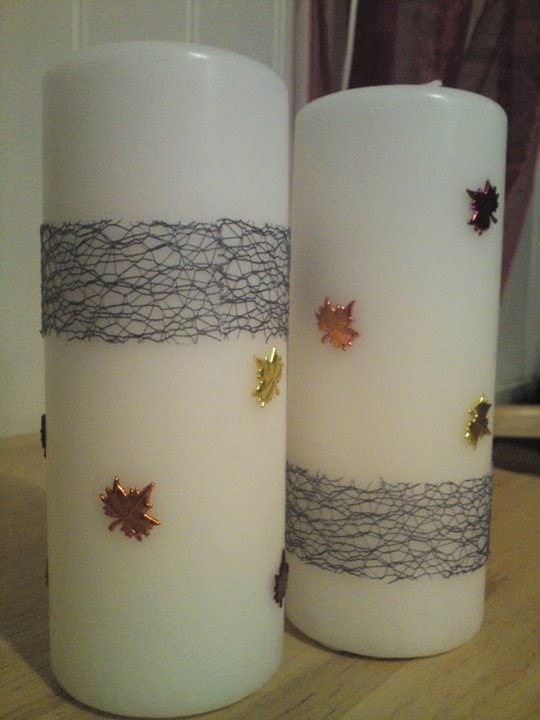 White pillar candles with autumn leaves with crayon on the back. The gray "ribbon" around, I melted into the light. White pillar candles with pressure from napkins. The subject is cut out of a napkin also melted into the light. 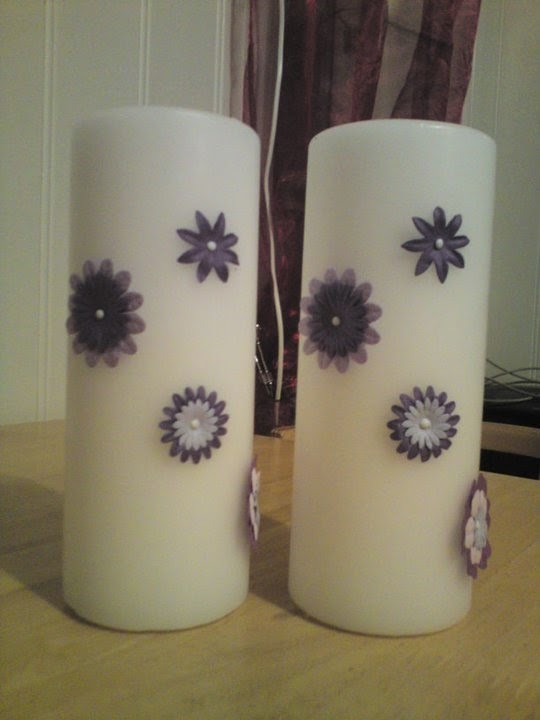 White pillar candles with small flowers that you normally use when scrapbooking. 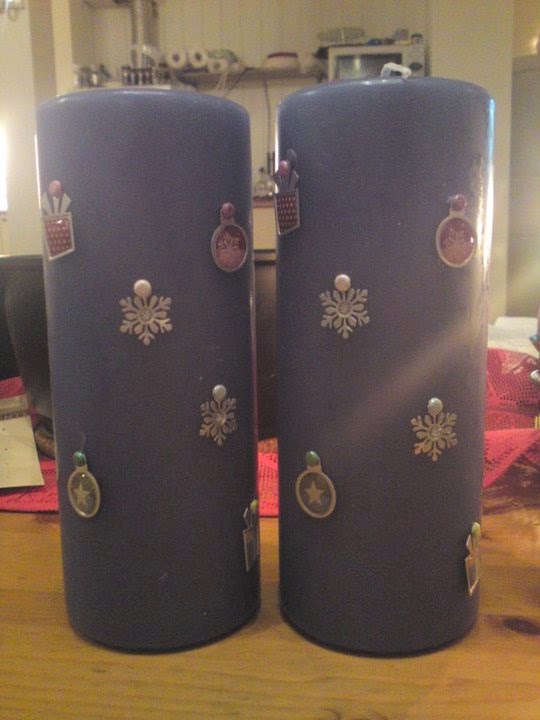 Purple pillar candles with small flowers that you normally use when scrapbooking.